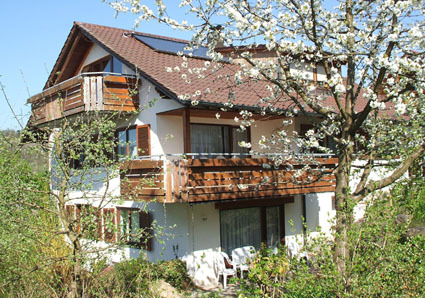 Enjoy your holidays on the Lake of Constance! 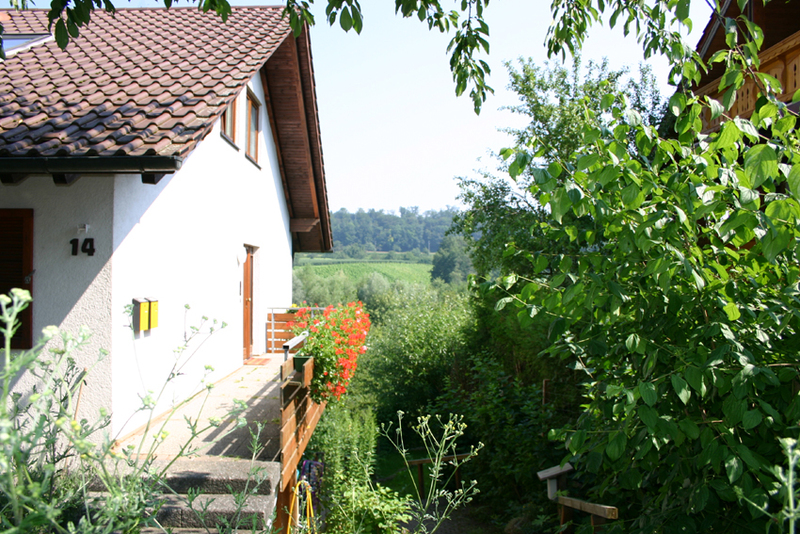 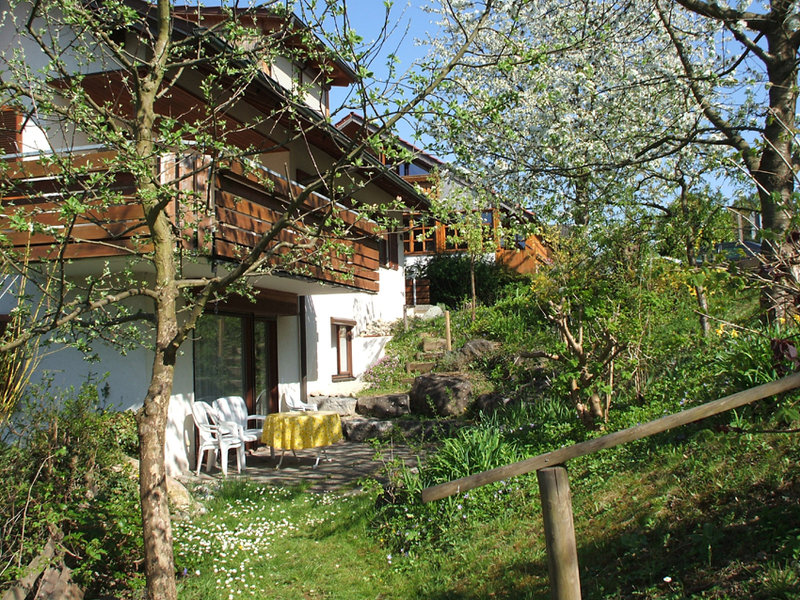 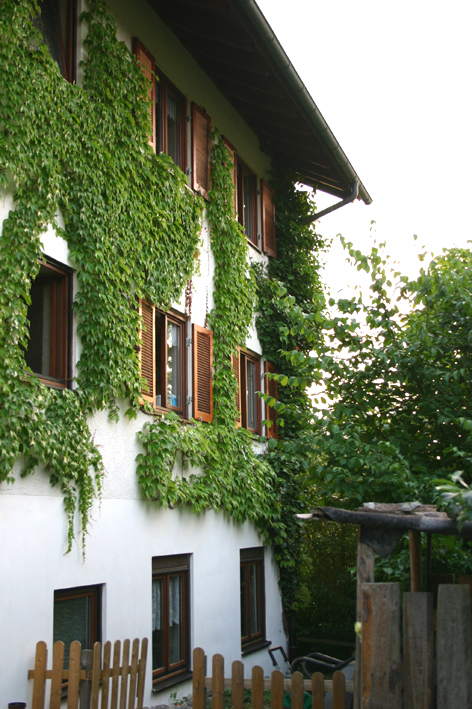 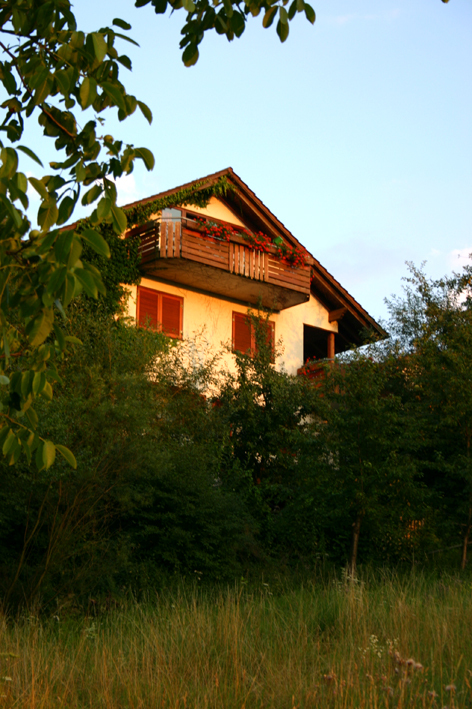 On the outskirts of Meersburg, on the Fohrenberg, lies our beautiful holiday house from which you have a wonderful view into the green surrounds. 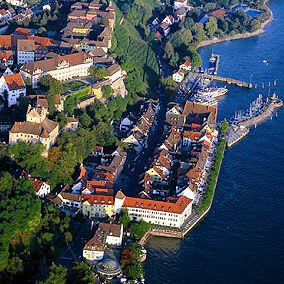 A short walk through vineyards takes you to the shores of the Lake of Constance and the old town of Meersburg, where you can enjoy a panorama of the Alps in the distance. 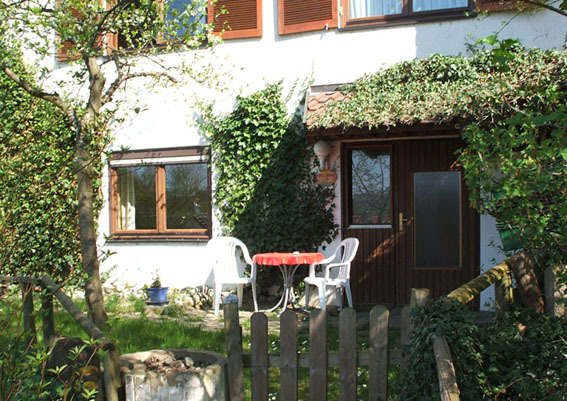 * in short: it is perfect for families! 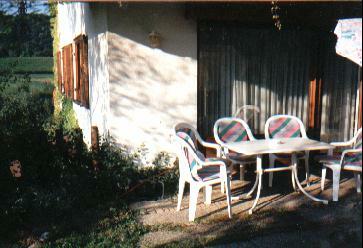 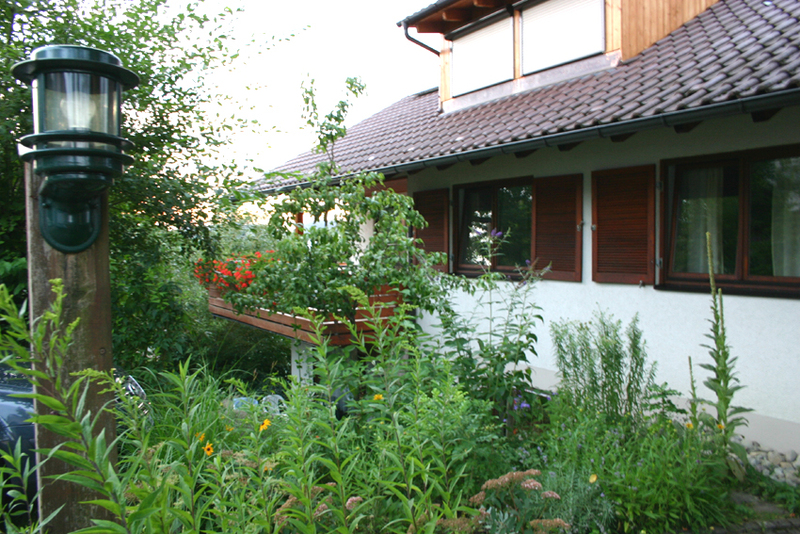 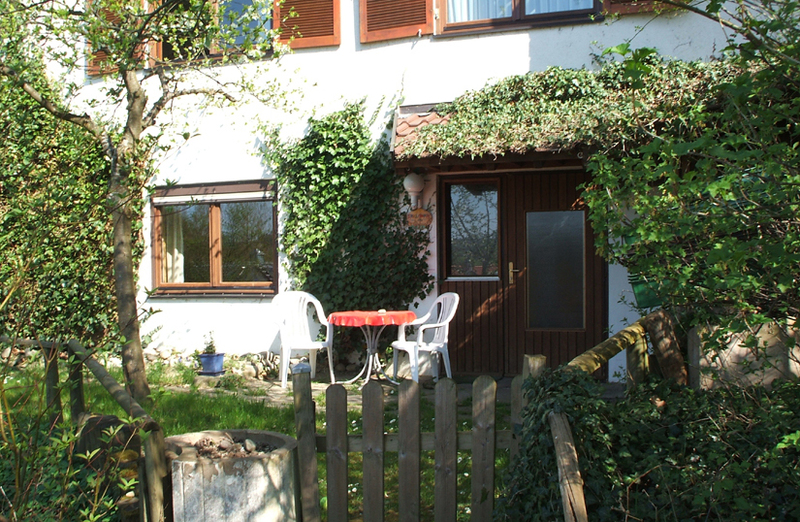 There is also a simple appartment in the lower part of the garden, (65 m2) for 2 or 3 persons. 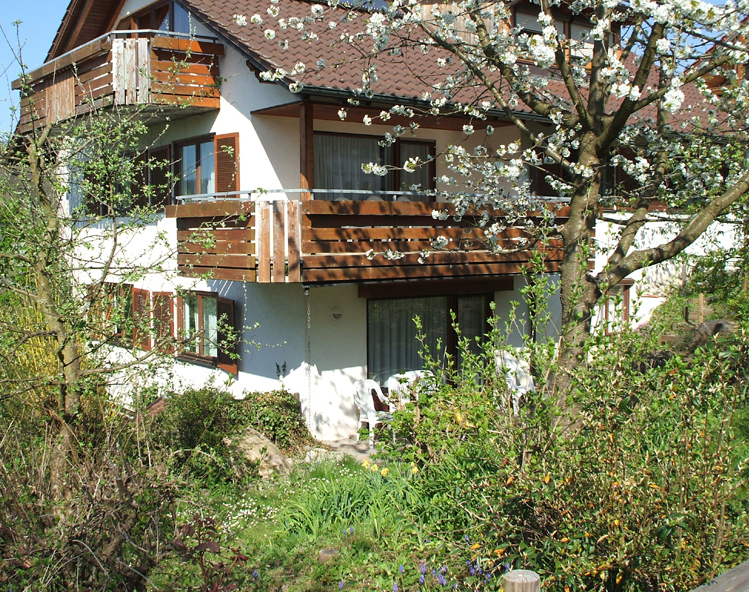 It has a large livingroom, one bedroom, a kitchen and bathroom with shower. 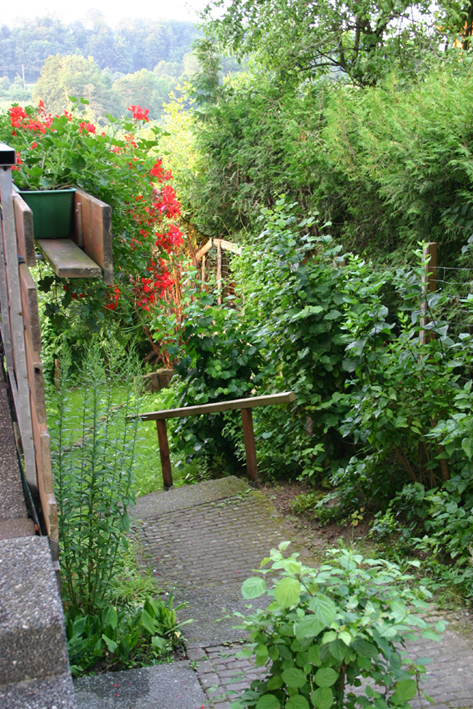 It also has a small garden. 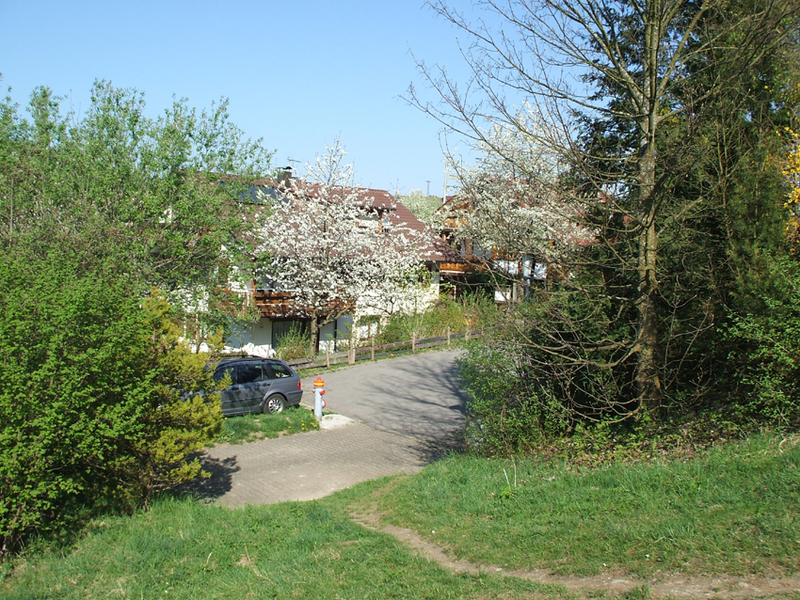 Next train station : Uhldingen Mühlhofen or Constance and then by boat directly to Meersburg. 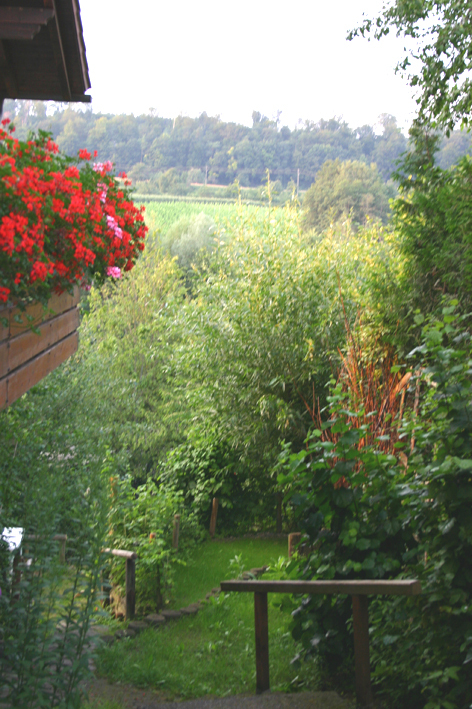 Some upcoming Events , to make the trip palatable. 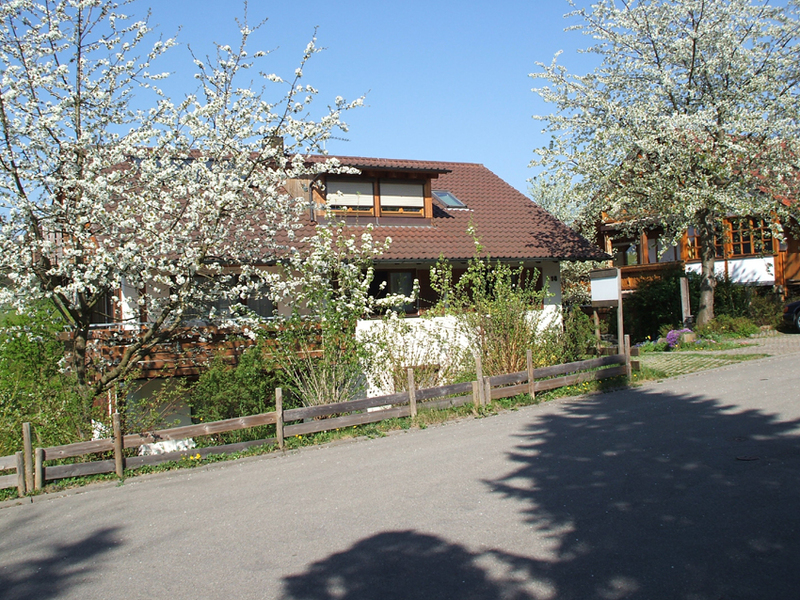 Our adress: Fohrenberg 9, 88709 Meersburg. 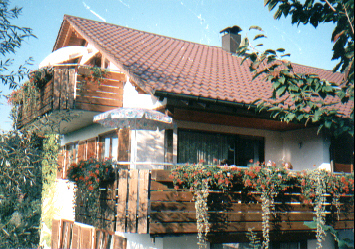 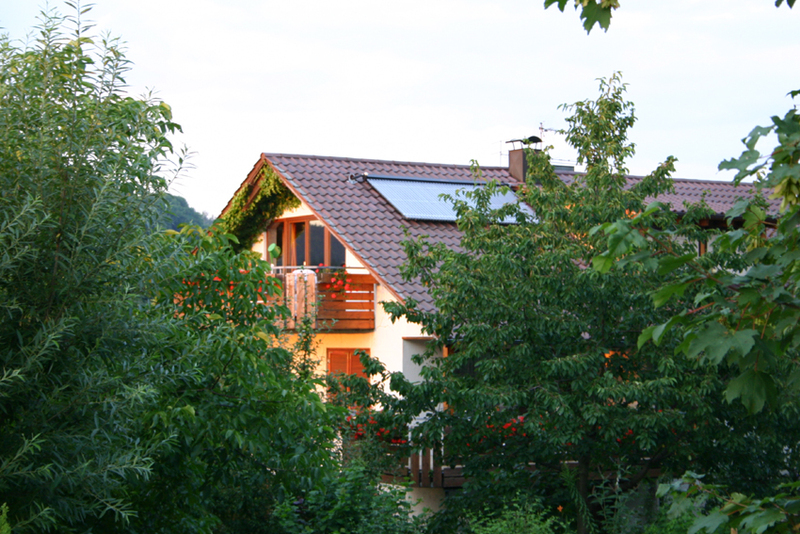 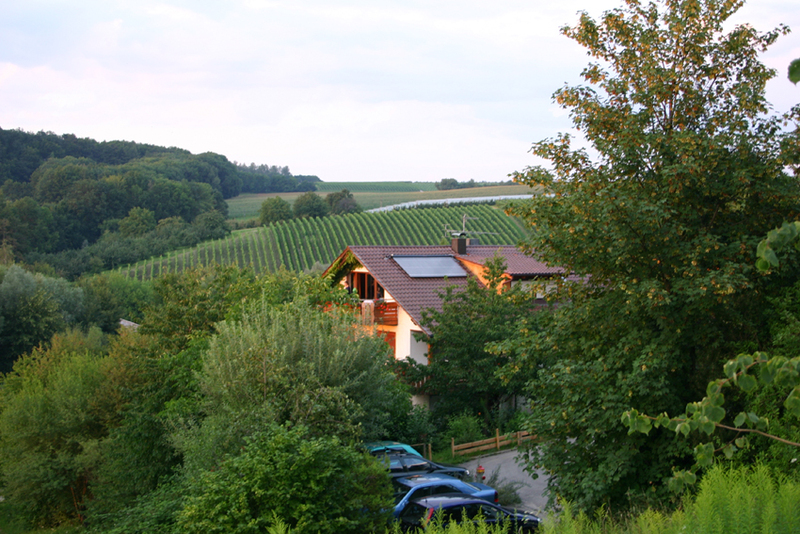 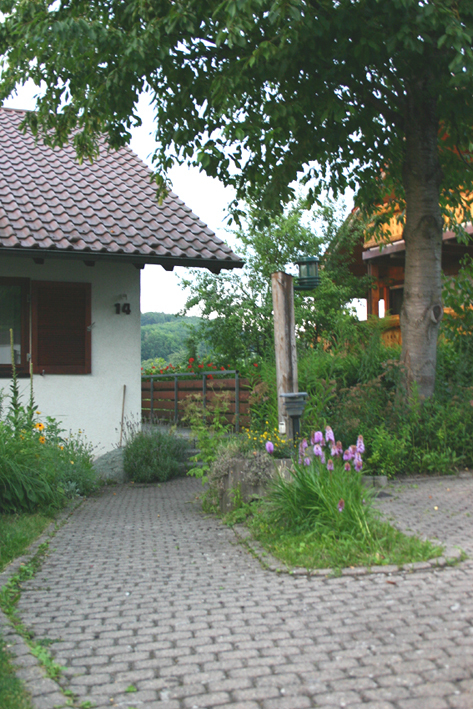 The holiday house is on Rieslingweg 14. 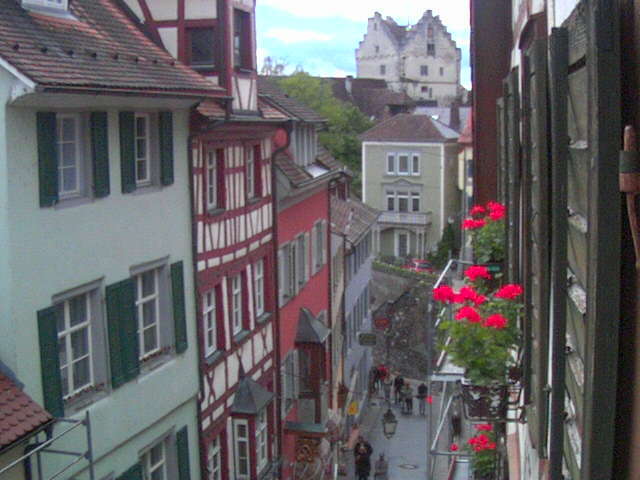 For reservations write to steiger-meersburg(at)t-online.de, call us: 07532/5110 or write a fax: 07532/2330.